Australia has completed the world’s longest cat-proof fence, because cats, an introduced species on the island continent, can be a huge freaking problem. The Australian Wildlife Conservancy this month finished building and electrifying the 44-kilometre (27-mile) long fence to create a predator-free area of almost 9,400 hectares (23,200 acres) some 350 kilometres northwest of Alice Springs. This area is about three times the size of a large airport, or the size of a town. The AWC will introduce native mammals into the area and plans to expand it by ten times beginning in 2020. Before you get all sad, you should probably know that feral cats are an ecological disaster. As we’ve reported, a recent study found that cats have caused 63 bird, mammal, and reptile species to go extinct in the past 500 years. Another recent survey found that cats cover 99.8 percent of the Australian island, at an average density of one cat per two kilometer-by-two kilometer square. Australia has had some trouble fighting the cats, and does not have an effective strategy to do so, AWC chief Attius Fleming told AFP. In the past, they have baited cats with KFC. I have reached out to outside sources as to the actual effectiveness of cat-proof fences and will update this story if we hear back. Initial searches reveal that fences can work. 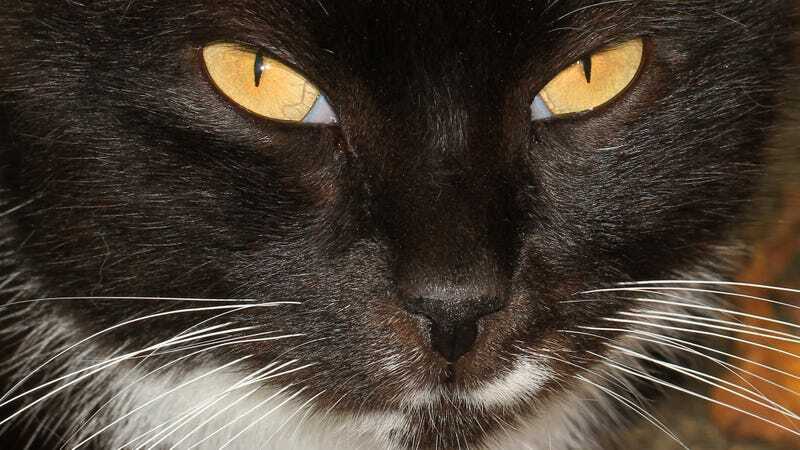 Like many of our problems, Australia’s cat problem began with the British, who brought them over in the late 1700s. The feral population took over and began eating the native species. Other introduced species, like rabbits and foxes, have also taken part in the native species killing, reports the AFP. I, a human who has no problem eating any animal at all, suggest that perhaps Australia should adopt the feral kitty as a national cuisine. Just a suggestion.